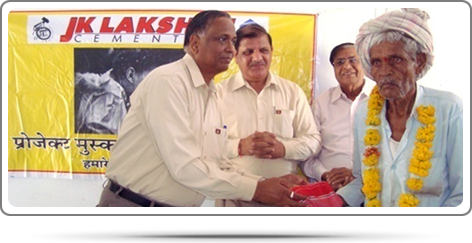 During 2013-14 the Company also introduced another programme viz, ‘Project Muskan’ with a purpose of facilitating senior citizens of nearby villages of Jaykaypuram Plant location through various modes. The activities also included their medical checkup. This was followed by a gift to the winners of old age games organised for them. So far covered 11 villages benefitting 793 Senior Citizens. Distribution of tables, chairs & sweaters distributed in Govt. Schools, blankets to needy & poor people. 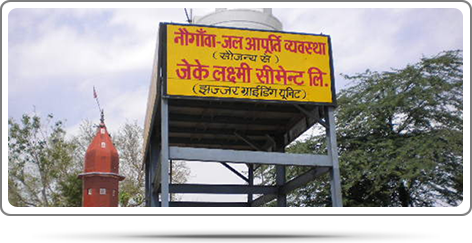 Set up water huts/overhead water tanks in nearby villages of plant locations to tackle water problems. Also Installed hand pumps to addresses water crisis in the villages. 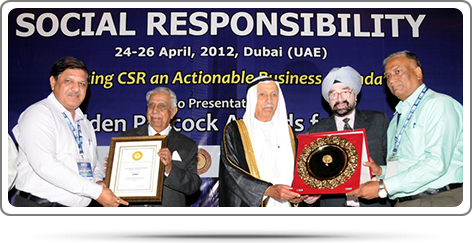 JKLC-Jhajjar was awarded ‘Greentech CSR Award-2014’ for outstanding contribution in CSR.